I started Eating Rules nearly four years ago (!) to focus on achieving better health through good food. It’s clear that the food we eat impacts our health directly. It makes perfect sense, of course — we’re putting something directly into our bodies, and they are literally breaking it down and absorbing it. Lately I’ve been thinking more and more about how products outside our bodies affect our health, most notably cosmetics and cleaning products. I’ve started reading labels of my shampoo, hand lotion, laundry soap, dish soap… it’s a bit overwhelming, to be honest. I’m slowly doing my homework and trying to find alternate products that are less toxic. It’s a daunting task, so I’ve decided to focus next on products that I leave on my body – the ones that are directly and deliberately absorbed by my skin. Lotion, sunscreen, and deodorant top the list. I figure they have the potential to have a larger health impact than those products which I use and rinse off immediately. Logical enough, right? I’m paying particular attention to parabens. There are a lot of alarmist websites out there that claim they cause cancer and can mimic estrogen – though there seems to be a lot of misinformation and referencing of the same (inconclusive?) studies. The Environmental Working Group’s Skin Deep Database specifically calls out Propylparaben, Butylparaben, Isobutylparaben, and Isopropylparaben as being worse than the others – so it may also be that not all parabens are created equal. The Food & Drug Administration is not particularly concerned about them. So I’ve started using parabens as a shorthand way to judge a cosmetic product. The more health-focused companies will specifically avoid them — and vice-versa. It’s not perfect, of course, but it’s a start. One of the products that’s challenging is deodorant. 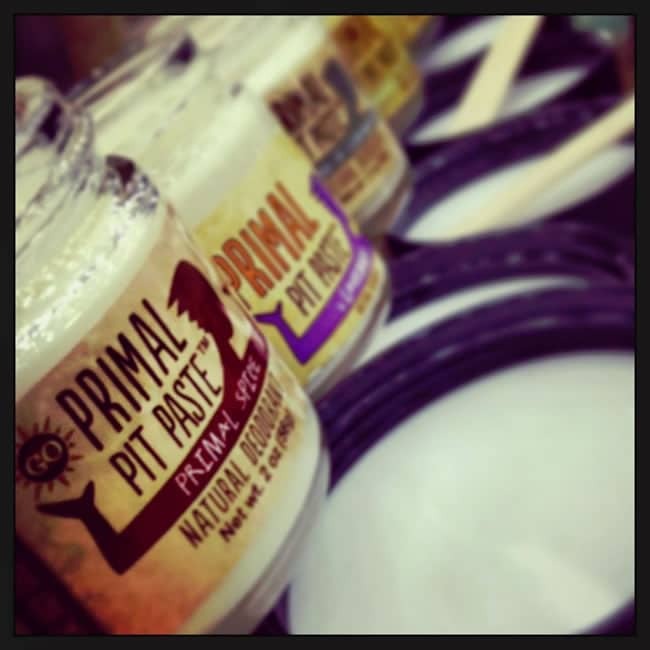 Last year, at the Natural Products Expo West tradeshow, I received a sample of Primal Pit Paste deodorant. It was a small jar of paste — containing truly natural ingredients: coconut oil, shea butter, arrowroot powder, aluminum-free baking soda, and essential oils. No parabens, and no complicated chemicals I’d have to research. The idea is that you take a pea-sized amount in your fingers, and rub it into your armpits. Easy enough! The only catch was that I didn’t like the smell. It was reminiscent of those hippie pothead stores that burn patchouli incense and somehow stay in business by selling yoga mats (apologies to my hippie potheads friends). I hate patchouli. About a year later, the awesome folks at 350 Media asked if I’d write a sponsored giveaway post for Primal Pit Paste (spoiler alert: yes, this is that sponsored post). I responded that I would have to pass, because I didn’t like how it smelled. They told me that the scents have gotten better, and sent me some samples. They were right! They now offer Thyme & Lemongrass, Lavender, Orange Creamsicle, and Unscented. All of which smell great! I’m particularly fond of the Thyme & Lemongrass (and the unscented doesn’t smell like much of anything, really). To enter the giveaway, just follow the instructions in the Rafflecopter widget below. Entry period ends on April 2nd, and I’ll randomly pick the winners shortly thereafter. Hooray for stink-free, non-toxic armpits everywhere! Artwork and Photo courtesy of Primal Pit Paste. I love the non-toxic, preservative-free products from Lush Cosmetics. I wasn’t too keen on their deodorant options, though, so I’d love to give this a try! I love natural cosmetics. I also try to keep the ‘bad stuff’ from touching me on the inside and out. 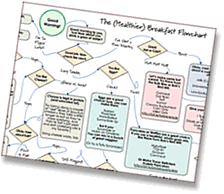 Thanks for the blog post!